The second chapter of the Ultima saga is much similar to the first one (same top down visual, same dungeon 3d visual, same gameplay), although there are many small improvements. The series begins to take the shape of the detailed, deep, rpg saga that gamers will always remember. 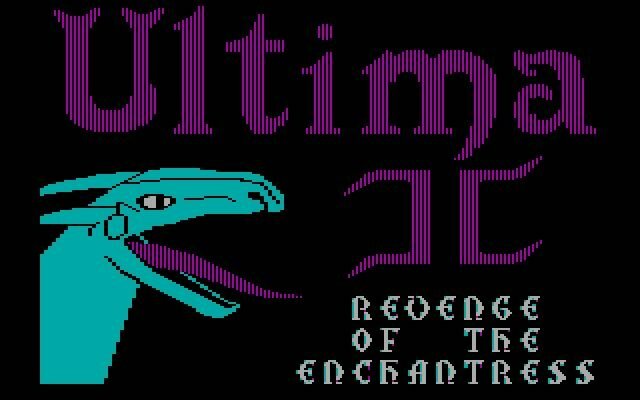 Tell others what you think about Ultima 2: Revenge of the Enchantress: did you play it? Did you like it or hate it? 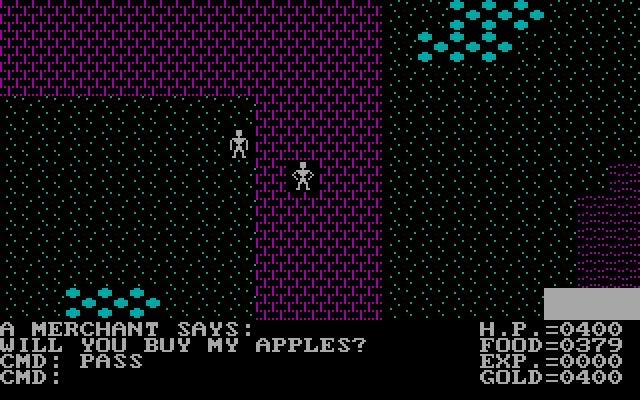 If you have problems running Ultima 2: Revenge of the Enchantress, please read the F.A.Q. first. Your e-mail will NEVER be used for spam. There are at least three versions of the map. Two versions are 22"x17" and have different Sierra logos. One version of the map is 16"x12", without the Sierra logo, and is printed thinner fabric.